During April and May, Capitol Land Trust and Washington Trails Association teamed up to begin building the first new trail at Darlin Creek Preserve. On the west side of the property, a seasonal stream continuously flooded out an existing trail. 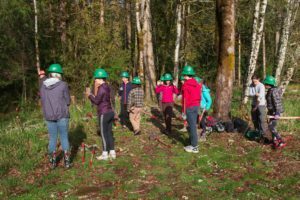 Students from Olympia High School and Capital High School began the project by clearing a 300-foot pathway away from the stream. 34 additional volunteers including a Boy Scout troop, adults, and other children completed the new trail and decommissioned the old trail. Darlin Creek Preserve is one of a few Capitol Land Trust public access preserves. Community meetings have provided valuable input in implementing public access plans. Currently, the property’s trail system consists of about 2 miles of old dirt roads and railroad grades. In moving forward with public access plans, current dead-end trails will be connected. Providing more public access at Darlin Creek allows the community to continue enjoying the unique ecosystems the property has to offer. 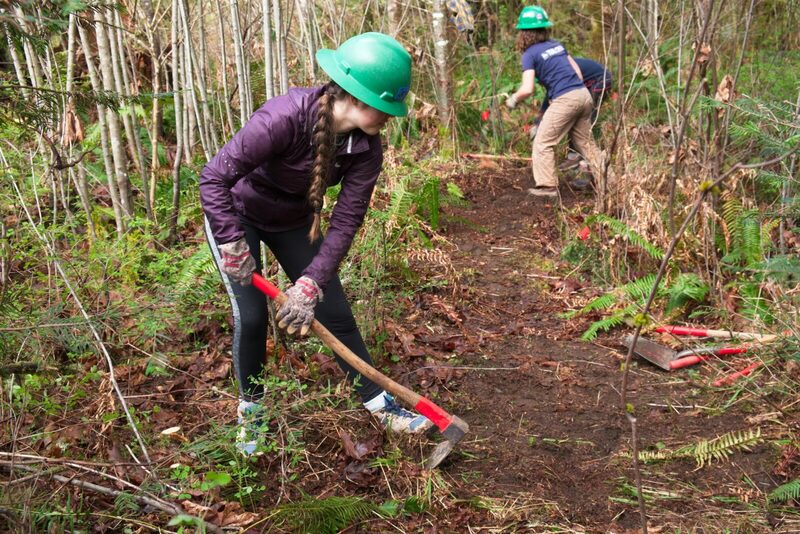 We are looking forward to continuing our partnership with Washington Trails Association and opening up further access to Darlin Creek Preserve. 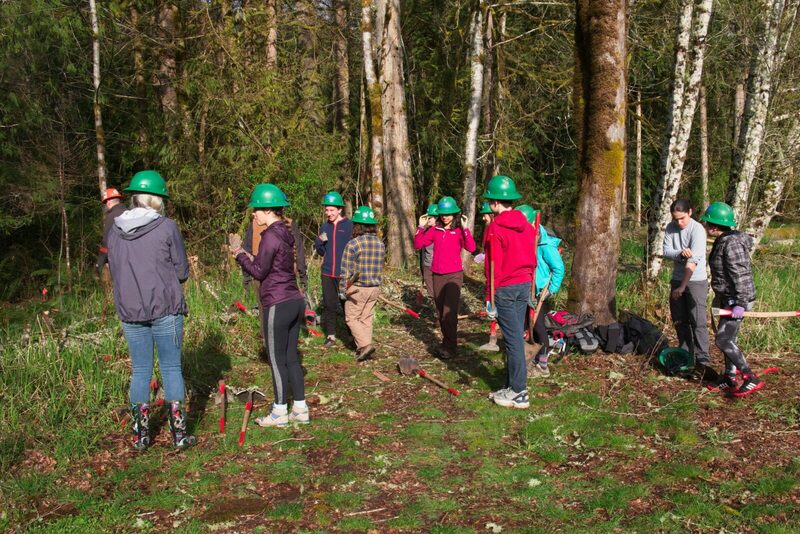 Students preparing to work on the new trail – Bruce Livingston. Student clearing vegetation for the new trail – Bruce Livingston. 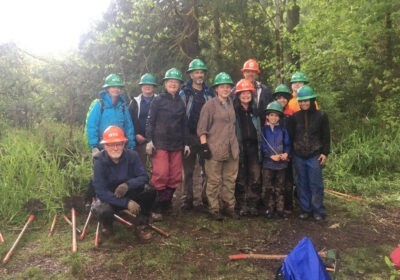 WTA volunteers after a day of trail building. Check out this YouTube video of the new trail!